Cube the vegetables and simmer in the tomato juice about one hour. Spread on sandwich bread and serve. Put all the ingredients in a pot and boil for about 10 minutes. That’s it! If you want to call it tortilla soup, take tortilla chips, break them up and add them to the soup. 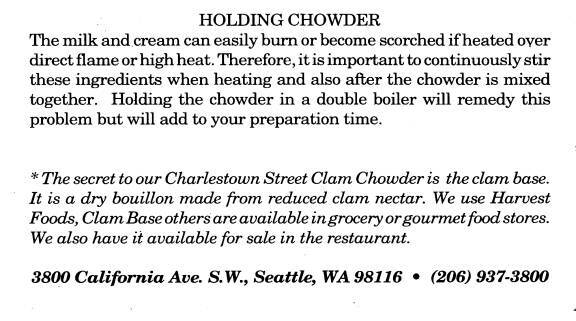 In 5-quart or larger pot, heat oil over medium heat. Add onions and sauté along with bell pepper, jalapeño and garlic. tomatillos and diced green chilies to pot; bring to boil. Add beans and chicken; simmer 10 minutes. 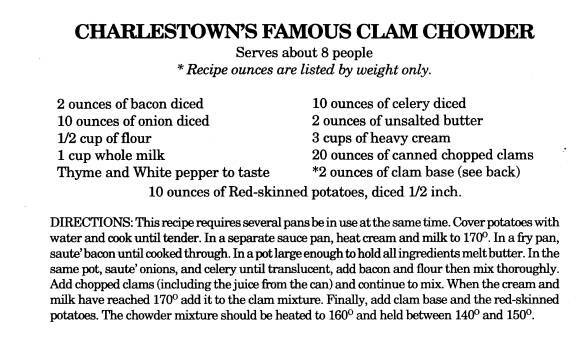 to give the chowder more of a tangy taste. Cook the mushrooms with the onion in a skillet. Add the flour and blend. Then add the stock. Cook and stir till slightly thickened. Add the cream and seasonings. Heat through and serve at once. Can also add a little cooking sherry for flavor. Cook the onions till tender and lightly browned. Add the stock and Worcestershire sauce and salt and pepper. Sprinkle the toast with the cheese. Pour soup in oven proof bowls, place the cheesy bread on top and broil till the cheese is melted. Serve hot! But be careful that the children do not get burned on the dishes. Never again will you have for force the children to eat their vegetables! This is a cold soup that everybody loved, especially in the summertime. Combine all ingredients in a blender and blend slightly. Do not puree this soup; just blend so that the veggies are chopped well and the ingredients are blended together. Chill well and serve with croutons. Makes a good refreshing summer snack. And it comes from Spain! Simmer in slow cooker until cheese melts. Serve with bread and or crackers. Hint: ½ cup wild rice uncooked = 2 cups cooked rice. Add 2 cups water to the dry rice and cook till tender. Melt butter in saucepan, sauté onion until tender. Blend in flour; gradually add broth. Cook stirring constantly until mixture thickens slightly. Stir in rice and salt; simmer about 5 minutes. Blend in half and half and sherry; heat to serving temperature. Garnish with parsley or chives. Can also add 1/3 cup minced ham, 1/3 cup finely grated carrots and 3 tablespoons slivered almonds with the rice and salt in the above recipe.